Let’s face it, accounting isn’t easy; if it was then an accountant’s job wouldn’t even exist. This is the same reason why most business owners will opt to hire an online accountant, not just because it can be difficult, but because it can also be extremely time consuming. For those of you who like a challenge, you might give your accounts a try. We applaud your efforts, but please don’t go into this thinking it’s a piece of cake. Many businesses, especially small businesses during their first 5 years, have encountered severe problems with HMRC where their taxes haven’t been filed properly and have led to fines. We’ll split this into two sections, one for beginners and one for the more advanced. We highly recommend you read through and understand the beginner’s section before moving on, although we would also recommend that you hire an online accountant to do this all for you so it’s up to you really. Applying for your tax code, regardless of whether you’re a Sole Trader, Small Business or Large Company, isn’t as simple as pressing a button and receiving the code nearly immediately. If you’re self-employed, you have to register to HMRC first which alone can take up to two weeks. After that, it’s likely that you’ll be waiting another two weeks to register for self-assessment. Waiting four weeks may not be an ideal solution for you (surprise surprise), however it is extremely common for this to happen with HMRC. There’s no real way of speeding this process up unless you’re already registered with HMRC, so make sure you give yourself the appropriate time needed to get yourself registered for tax. With Zooconomics: We’re already registered with HMRC which cuts out two weeks of waiting. Our average registration time is 5 days, so you can apply with us on Monday and start your business by Friday! When it comes to taxes, your receipts and invoices are your most powerful and reliable assets. You’ll need to keep them somewhere safe and organised if you’re planning on using them to file your tax returns (which you should be). Develop a system where you organise and catalogue your receipts on a daily/weekly/monthly basis (whichever suits you best, we recommend weekly if you can). This will allow you to keep track of how much you’re spending and how much you’re making from your business. You get extra points if you fill out your tax returns at the same time as you file your receipts, as it means you won’t have to go back through them a second time. With Zooconomics: Using our online accountancy software, recording your receipts and invoices is as simple as taking a picture or forwarding an email. All you need to do is send us over a copy of the document and we’ll do the rest for you. We still recommend you hold onto them, but you no longer need to complete the tedious task of cataloguing and filing them. 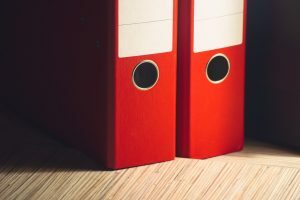 On a similar topic to the previous piece of advice, you’re going to want to keep all your records relating to tax organised. This includes any information you receive from HMRC (tax codes, deadlines, birthday cards, etc. ), your receipts and invoices, your tax calculations, absolutely anything to do with taxes. In other words, go out and get yourself some folders and some plastic sheets. We would recommend about 24, one to cover every month for a two-year period. Any time you get a receipt, make sure to date it, log it and file it away. If HMRC ever ask about your tax returns for a specific month, it won’t take you too long to prepare any information that you’ll need to send them. With Zooconomics: Your log is kept with us when you send us your invoices and receipts through the cloud-based accountancy software. It’s still a good idea to keep your own physical copies of all tax details, however should HMRC ever ask for details, all you’ll ned to do is give them our number (which is 0800 0460 560 by the way). Now we’re getting into the juicy bits of accounting. Be warned as these tips are not for the faint-hearted, and Zooconomics will not be held responsible for any socks knocked off or blown mind’s during these following tips. If you’re paying yourself through self-assessment, your tax will be the same as if you were hired by a business; you also have the option to pay yourself through PAYE, but this will have the same outcome. Through regular tax you’re taxed at 20% once you start earning over £11,500 a year, however with dividends you’re only taxed for 7.5% all the way up to £33,500. The best way to do this is to pay yourself £11,500 a year through self-assessment (which is your tax allowance) and whatever is left over can be paid to you through dividends. This means you’re likely to be paying 12.5% less in tax every year. With Zooconomics: Paying yourself through dividends can be a very complicated procedure, and getting it wrong can create huge consequences for you, your pay check, and your business. There is also a small window where paying yourself through dividends is NOT as cost effective as PAYE. You will definitely want to speak with an accountant for help on this one. If you’re buying items or services for your business, you can apply for tax-deductible expenses. There are certain items where you can claim back on your taxes after buying them on the basis that you’re purchasing them for your business. “What’s tax-deductible then?” I hear you ask. Well, technically speaking, anything and everything. The drawback is that there are certain rules and regulations on what you can claim and when. For example you can claim on petrol, but only if you can prove it was used to travel between two business locations (where you live doesn’t count as a business location unless you work from there). With Zooconomics: The rules around claiming on expenses are extremely long and complicated, far too long to include in this post. Even if you did have access to what the regulations are behind each individual type of expense, you would still need to prove that it was purchased for your business, which can also be a complicated affair. The Zooconomics accountants are well-versed in expenses, and can even inform you of when there are expenses that you’re not claiming. Like we said earlier; you’re more than welcome to try and sort your own accounts, after a while you may even get used to it. On the other hand you could speak with a Zooconomics accountant give yourself some tax-free stress relief, allowing you to spend more time on growing your business. Not only will our accountants help with your taxes, they’ll also help to expand your business. An accountant is always a great financial adviser and Zooconomic’s accountants are no different. Whether you’re looking to open another branch or expand your workforce, our accountants will let you know when the ideal time to grow is.